Lines, angles, light and colour. Our built structures provide opportunity for spectacular imagery, especially when bedded into the environment around them. The tide is low as the sun emerges from below the clouds, revealing the Port of Brisbane. 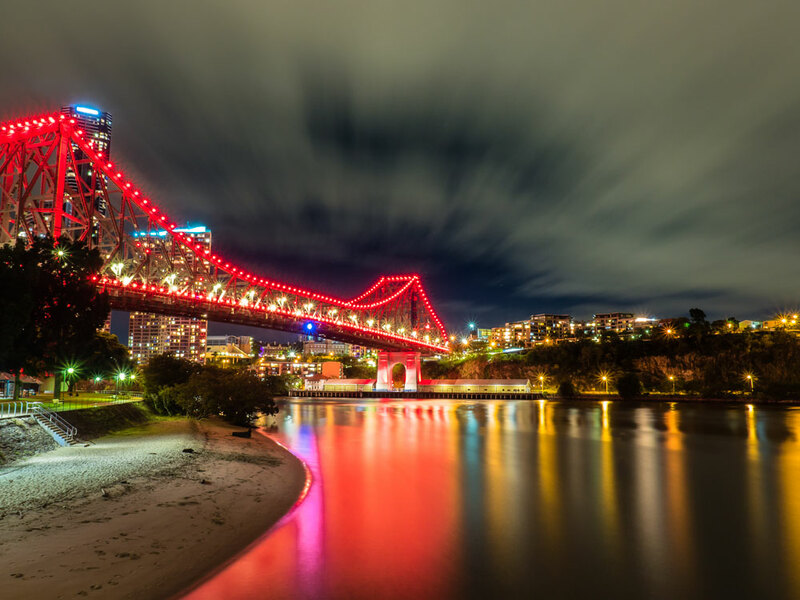 One of Brisbane's iconic structures, the Story Bridge opened in 1940 and is 777 metres in total length. 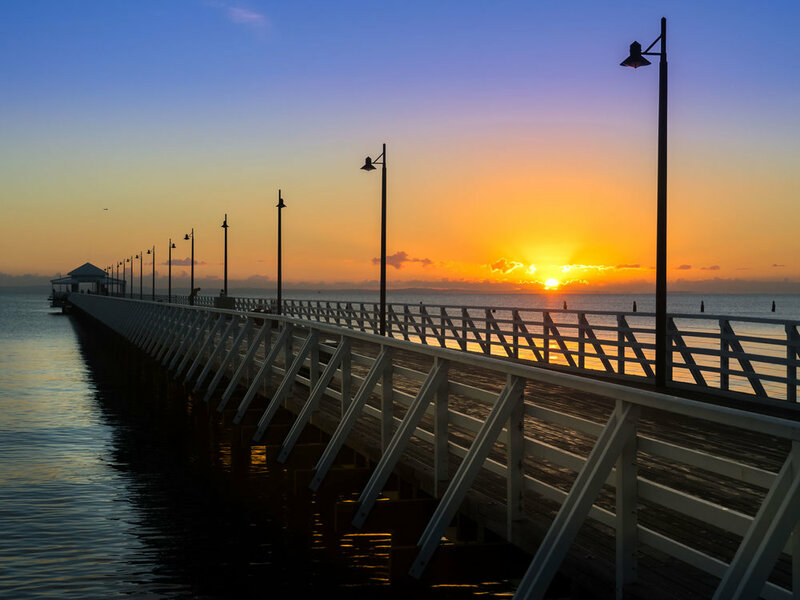 Hardly a sunrise goes by without at least a few of Brisbane's photographers making an appearance at Shorncliffe Pier. Such is it's photogenic quality. 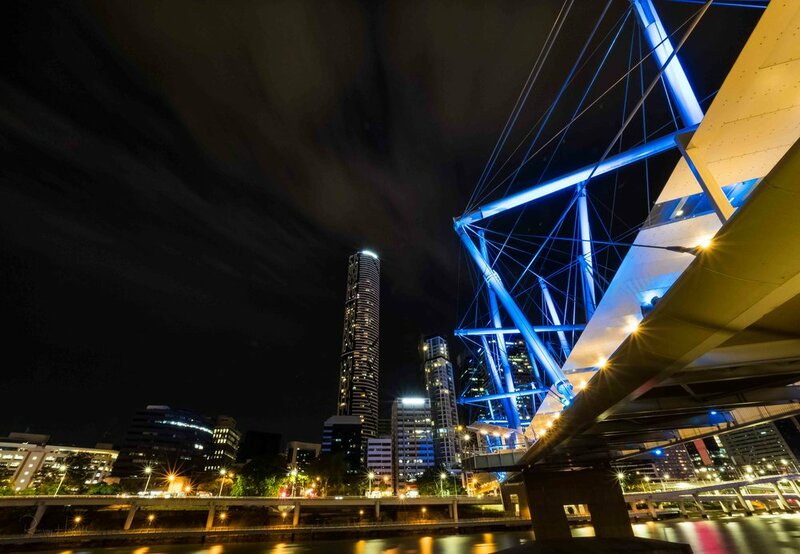 The contemporary design of Brisbane's Kurilpa Bridge makes it especially enjoyable to photograph. I particularly liked the electric blue lighting contrasted against the yellow of the street lights. The Gold Coast emerges from the night (and the ocean it pays homage to), resplendent in the morning light. The old Coffs Harbour Jetty provides the perfect subject, especially when paired with the pre-dawn clouds. St Brigid's Church, Red Hill stands sentinel over Brisbane's Inner Western suburbs and the CBD. 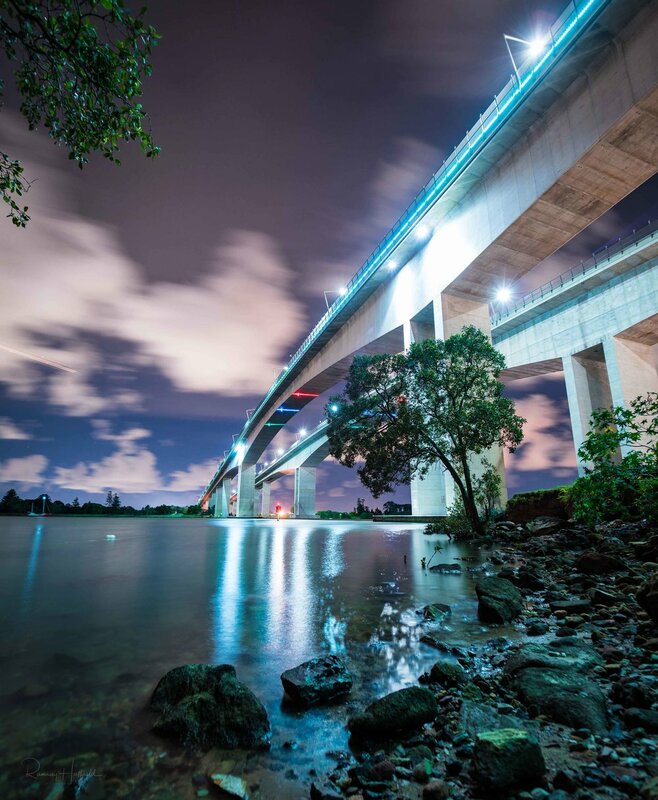 The brooding presence of Muttonbird Island provides a background to the smooth lines of Coffs Harbour's old Jetty. The sweep of the Brisbane River accompanied by a green Story Bridge.